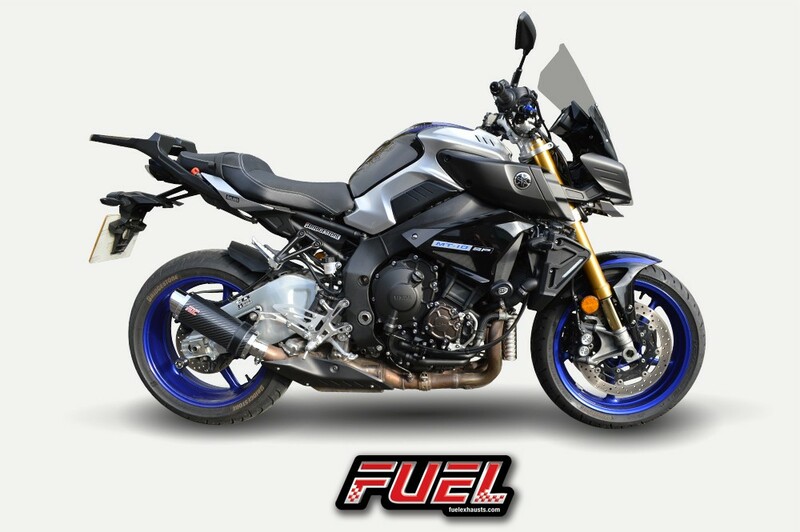 Early in 2016 the Yamaha MT-10, a flagship member of the MT range, replaced the FZ1 in the sport naked range. Yamaha released the MT-10 SP model in October 2016 and this included upgrades from the base model. The Yamaha MT-10 was known as the FZ-10 in North America for 2016 and 2017 but from 2018 is now designated MT-10 in all markets. With buckets full of torque the MT-10 picks up quickly and the power is immediate. Motorcycle News rated Yamaha's MT-10 as 'fast, fun and practical' in a review back in May 2016 and we can see why. We recently got our hands on the MT-10 SP model and designed exhausts that suit the bikes style and image. 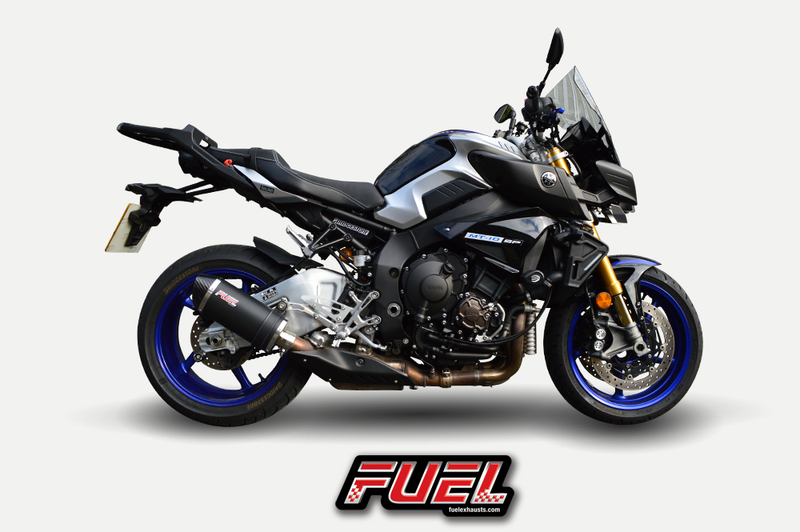 Available as a UK road legal exhaust in both our Diablo and F1R Race ranges, the MT-10 suits the shorter style of exhaust. Both our exhaust ranges have a 250mm sleeve length and produce a deeper tone than the OEM silencer. The Fuel exhaust slips straight onto the OEM system and the catalytic convertor remains in place. Our exhaust will fit with aftermarket decat pipes for this bike providing they fit with the OEM silencer too. If the cat remains in place then both exhaust ranges are UK road legal even when the baffle is removed. Let's face it, the exhaust on this bike is never going to be ear deafening when the cat is fitted however the Fuel exhaust does produce a deeper note and sounds much better. There is no need for any engine adjustments if you are fitting with the OEM cat in place, it is just a fit and go kit...! Click here for prices, technical information and to see what options there are for the MT-10 range.